We are excited to announce the winner of Chapterthon 2017. As we truly believe that Internet Society and our community have an important role to promote the use of the Internet for education, we organized the Chapterthon 2017 on Digital Schools. 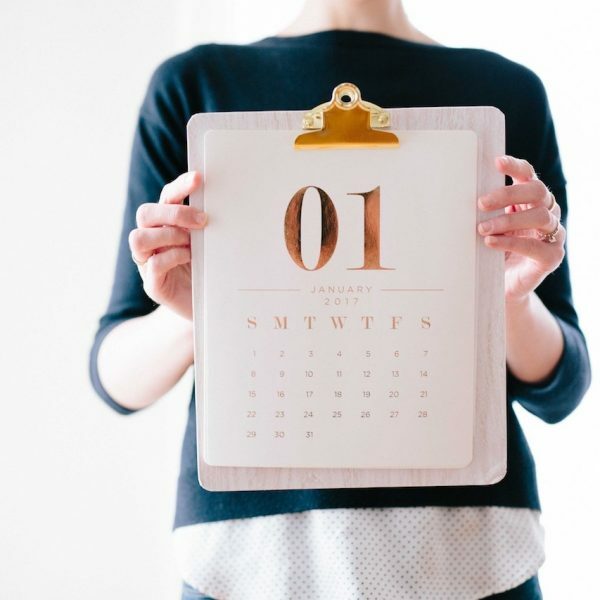 Chapterthon is a global Chapters marathon, where our chapters can participate by developing a project within a timeline and budget to achieve the common goal of improving education by using the Internet. During the past months, 31 Chapters from all the regions have worked hard to extend the education benefits of the Internet to their communities. Connecting schools to the Internet, teaching coding to girls, training teachers and parents, raising awareness about the safe use of the Internet, developing an online platform for a school and helping to create educational, and local content are just some examples of the amazing work our chapters have done. Each project has proven us once more that the Internet plays an important role in achieving the Sustainable Development Goal on Education. Each project has contributed to shaping the future of children, parents and teachers. 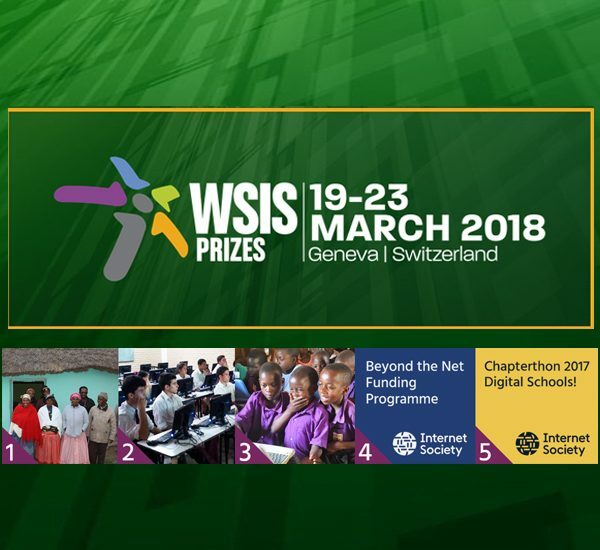 While all the projects have left an important mark on local schools, the Internet Society community members have voted and selected the best project. 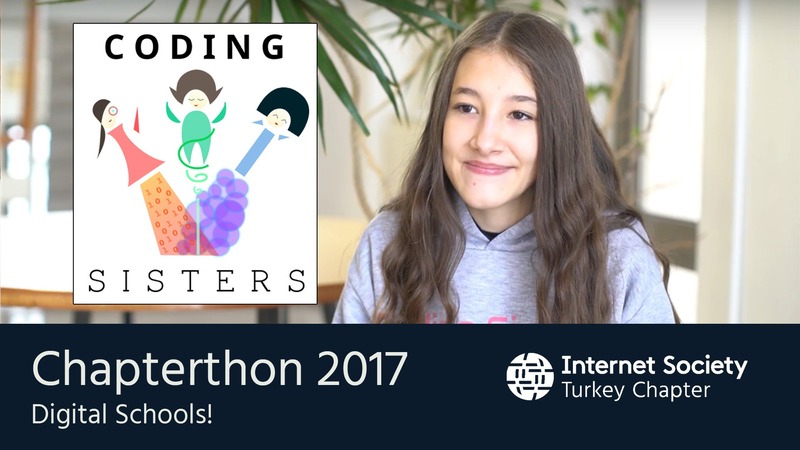 This year Chapterthon winner is the Internet Society Turkey Chapter for the project Coding Sisters, which had the aim of optimizing the opportunities for girls to be involved in STEM field. The project, focused on closing the digital gap in the country, was developed in the Bilkent University in Ankara, Turkey. There, 42 girls from middle and high schools and 30 university students received coding lessons and almost all of them stated that they want to keep learning how to code. 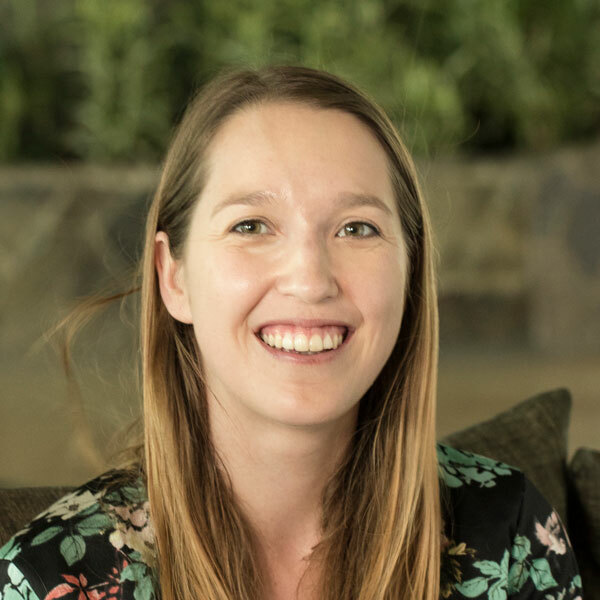 Coding Sisters is a proof of how the Internet is a powerful enabler not only for education but also for gender equality. We would like to thank all the chapters for all the energy and efforts they have put to complete the projects. You are all heroes for us and especially for your communities. We would like to also thank Wikimedia Foundation for partnering with us and making this Chapterthon real. Congratulations to the Turkey Chapter and thank you all again for taking action and shaping the digital future in your communities! 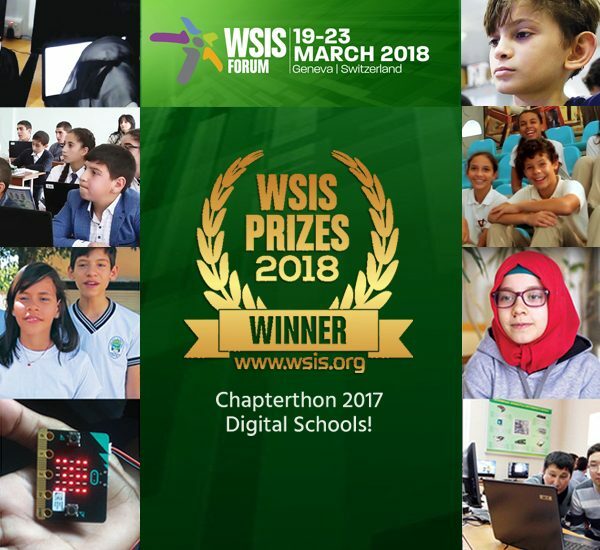 Chapterthon 2017 on Digital Schools was recognized today as the winner of a 2018 World Summit on the Information Society (WSIS) Prize under the category “International and Regional Cooperation,” awarded by the International Telecommunication Union (ITU). The Internet is for everybody, but we must think differently if we are going to connect the next billion. Today it’s helping girls to complete a coding course. Tomorrow those girls could bring digital innovation to their own communities.